NEW YORK and AUSTIN, Texas,– North America’s largest pop-culture tour continues as Wizard World Austin Comic Con returns to the Austin Convention Center, November 11-13, with standout guests Hayden Panettiere, Adam Baldwin, ACADEMY AWARD WINNER Louis Gossett Jr., James Marsters, Juliet Landau and Charisma Carpenter headlining the list of celebrity attendees. The event, produced by Wizard World, Inc. (WIZD.PK) will bring together thousands of fans of all ages and dozens of celebrities and industry professionals to celebrate the best in pop-fi, pop culture, movies, graphic novels, comics, toys, video gaming, television, sci-fi, gaming, original art, collectibles, contests and more. Panettieri (“Heroes,” BRING IT ON) will appear on Saturday only, Baldwin (FULL METAL JACKET, “Serenity”) is scheduled for Saturday and Sunday, and Gossett (AN OFFICER AND A GENTLEMAN, ENEMY MINE), Marsters (“Buffy: The Vampire Slayer,” “Caprica”), Landau (“Buffy: The Vampire Slayer,” “Angel”) and Carpenter (“Buffy: The Vampire Slayer,” “Veronica Mars”) will attend all three days. DCnU creators include Greg Capullo (“Thor,” “Asgard’s Avenger”), Patrick Gleason (“Batman & Robin,” “Brightest Day”), Yanick Paquette (“Swamp Thing,” “Batman,” “Superman”), Tyler Kirkham (“Green Lantern: New Guardians,” “Amazing Spider-Man”), Nathan Edmondson (“Grifter,” Who Is Jake Ellis”), Freddie Williams II (“Captain Atom,” “JSA All-Stars,” “Batman”) and John Tyler Christopher (“Voodoo”). The lineup of superstar artists at Wizard World Austin Comic Con is also impressive, including Jo Chen (“Superman,” “Buffy the Vampire Slayer”), Matthew Sturges (“Jack of Fables,” “JSA All-Stars”), Greg Horn (“Spider-Man: Turn off the Dark,” “X-Force”), Mark Texeira (“Wolverine,” “Spider-Man”), Michael Golden (“Batman,” “Spider-Man”), Stéphane Roux (“Zatanna,” “Star Wars”), Marv Wolfman “DCU Online,” “Crisis on Infinite Earths”), Bill Sienkiewicz (“Elektra: Assassin,” “Moon Knight”) and dozens of others. The five kids from the original WILLY WONKA AND THE CHOCOLATE FACTORY will also reunite at Austin Comic Con, commemorating the 40th anniversary of the film’s release. Peter Ostrum (“Charlie Bucket”), Paris Themmen (“Mike Tee Vee”), Julie Dawn Cole (“Veruca Salt”), Denise Nickerson (“Violet Beauregard”) and Michael Boellner (“Augustus Gloop”) will appear together for an extremely rare reunion. Other popular celebrity guests scheduled to be on hand in Austin include Chandler Riggs (“The Walking Dead,” Barbara Nedeljáková (HOSTEL, SHANGHAI KNIGHTS), Electra and Elise Avellan (MACHETE, GRINDHOUSE) and Gena Lee Nolin (“Baywatch,” “Sheena”). STAR WARS fans can meet special guests Daniel Logan (“Episode II – Attack of the Clones,” “Clone Wars”), Jake Lloyd (“Episode I – The Phantom Menace”), Adrienne Wilkinson (“The Clone Wars,” “The Force Unleashed”), Bonnie Piesse (“Episode II – Attack of the Clones,” “Episode III – Revenge of the Sith”) and Orli Shoshan (“Episode II – Attack of the Clones,” “Episode III – Revenge of the Sith”). And Sunday, Nov. 13, is Kids Day at Austin Comic Con, with face painting, balloons, a “passport” treasure hunt and other activities designed especially for kids! Other special events include card gaming tournaments, professional photo opportunities (Photo Ops) and more. Austin Comic Con is the ninth and final stop on Wizard World’s 2011 North American tour. 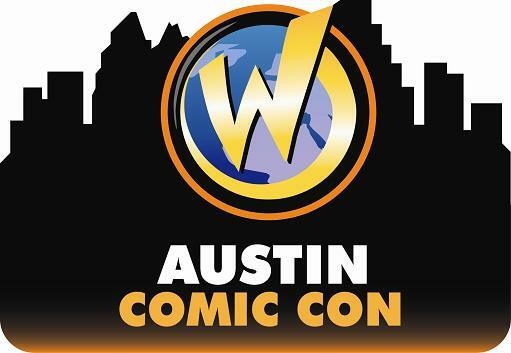 Hours are Friday, November 11, 4 – 7 p.m.; Saturday, November 12, 10 a.m. – 7 p.m.; and Sunday, November 13, 10 a.m. – 5 p.m. Tickets are available in advance online at http://www.wizardworldcomiccon.com/austin.html at a savings over tickets purchased at the door. Advance adult single-day tickets are priced at $25 ($35 on site); weekend all-session tickets are $45 ($55 on site), and tickets are free for children age 10 and under when accompanied by a paid adult (limit two children per adult). VIP packages with special entry and exclusive items are also available on a limited basis.